New Albany, OH – New Albany is known for its great schools, its safe neighborhoods, and beautiful landscape and architecture. It is also known for its generosity for those in need. 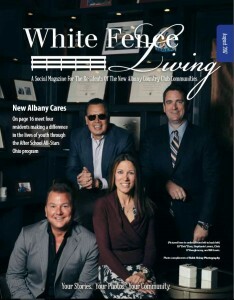 Here is a story of how four New Albany residents are helping those in need beyond the white fence through their involvement with After-School All-Stars Ohio. 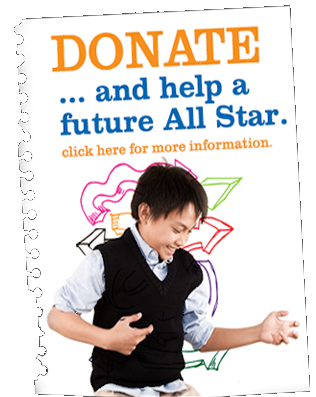 After-School All-Stars (ASAS) is a national charitable organization founded by Arnold Schwarzenegger in 1992. ASAS provides free, comprehensive after-school programming that focuses on academics, health & fitness and enrichment activities for kids living in underserved communities. It was first introduced to Columbus schools in 2000 and later expanded into Cleveland and Toledo. Through the support of Governor John R. Kasich’s office, it currently serves over 800 students in ten schools in the state of Ohio. Stephanie Lorenz, Events Director for Abigail House and resident of New Albany since 2001, got involved with ASAS when she worked for the Arnold Sports Festival office (2004-2013). After visiting one of the ASAS schools and meeting kids in the program, she was hooked and wanted to help. “My proudest moment was when I traveled to Washington, D.C. to lobby for after-school programs,” said Mrs. Lorenz. “While there, I met an ASAS alum who recently graduated in engineering from Harvard University. The ASAS alum attributed his success to the ASAS program. ASAS gave him a safe place to go after school, kept him off the streets, and gave him the extra support he needed to make his dream to go to college a reality,” added Mrs. Lorenz. Chris O’Shaughnessy, a Partner with Hahn Loeser & Parks LLP and resident of New Albany since 1998, was first introduced to ASAS through fellow Leadership Columbus classmate, Stephanie Lorenz. After witnessing the impact of after-school programming, and meeting many of the kids and families, he joined the Board, currently serving as Chairman, and sits on the National Board. “My favorite experience with All-Stars is participating on a career panel during their week-long summer camp at Ohio State called CampUs. I love answering the kids’ questions about my job as an attorney, and giving them advice about work and school,” shared Mr. O’Shaughnessy. BJ “Elvis” Doss, Owner of Hollywood Imprints and resident of New Albany since 2006, learned about ASAS through Chris O’Shaughnessy. He joined the board in 2014. Before getting involved, he admitted he didn’t fully understand the need. “When ASAS can touch one child, even if it’s for one moment, one experience, or an entire year, the possibilities of their future are forever changed because of this program,” said Mr. Doss. “We have shared this philosophy with our employees and continue to fundraise and pay it forward,” added Mr. Doss. Bill Lewis, President CTD Investments and resident of New Albany since 2016, joined the ASAS board after hearing about the program from Chris O’Shaughnessy. A few months later, he attended their annual fundraiser, Experience Arnold. “The event in Columbus with Arnold Schwarzenegger was handled with complete class, and we raised a lot of money. These kids face extreme challenges every day – poverty, crime, and lack of resources. I am just glad I am in a position to give back,” said Mr. Lewis. All four of the ASAS Board Members lead extremely busy and successful lives. However, they make time to help others in need. They all agree their involvement with All-Stars has been a rewarding experience, both personally and professionally. If you want to get involved and learn more about After-School All-Stars Ohio, go to www.asasohio.org, or call 614-257-1678.